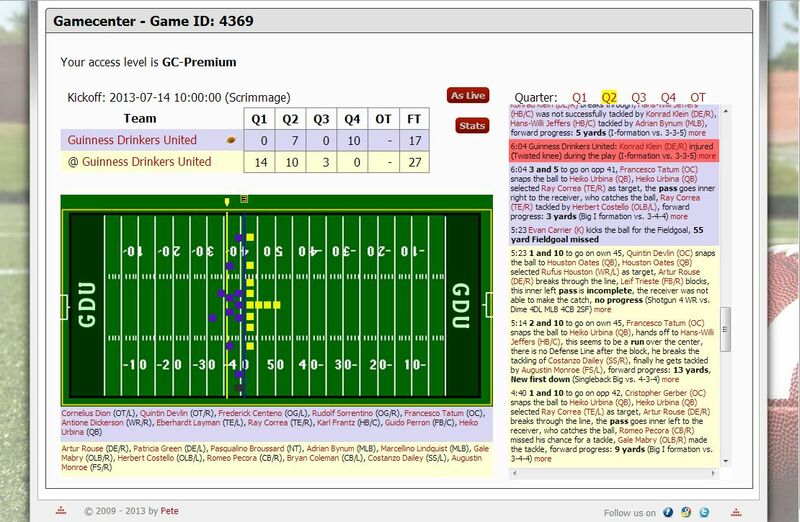 In RedZoneClash.org, an American Football Simulator, you will find the fun of managing and coaching your squad from the lowest ranks of league rivalries to the lofty heights of international football glory! You run the team from the front office to the field, all completely for free! Want to have a speedy passing attack or is power rushing more your style? Do you want to control the line of scrimmage or rely on your defense to steal the ball away to win the game? Use your depth chart and playbook to decide how your team makes your gameplan happen. We don't just toss numbers out there and see what happens. We play football! 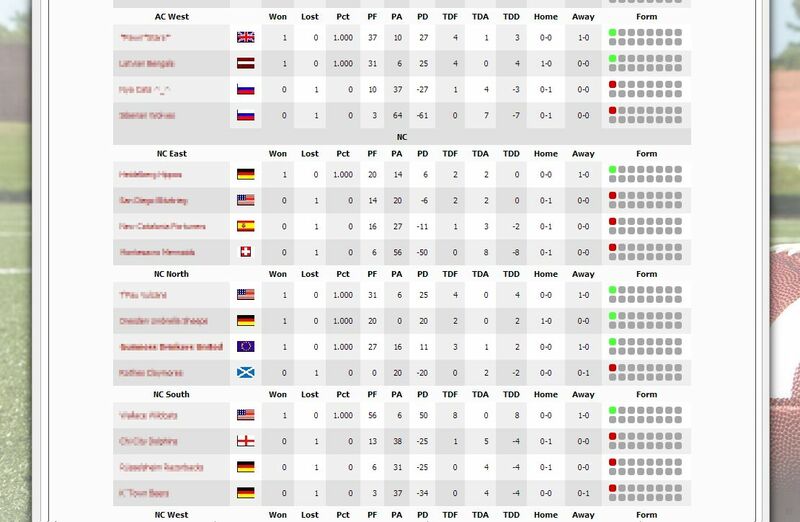 What makes RedZoneClash.org different from other football sims out there? We stay true to the American style of football, by featuring a 3-day-draft, playoffs and a championship that is decided on the field. Compared to our Sister-game RedZoneAction.org there is no economy management in RedZoneClash.org, and the games pace is faster with having 3 league games per week. Free, but additional features can be bought. Everything we love about redzoneaction.org but with your team already established. So create your depth chart, formulate a battle plan using your genius playbooks and prove your worth! Games are games.But RedZone Clash gets real with better players,and you can feel the power within the game.Try redzoneclash.org what can you loose? The diabolic sister of RedZoneAction! You love RedZoneAction but you pacience is short and need more action right now? Try RedZoneClash!! Awesome game! Love playing it! Enjoy the game very much so is a couple qirks in the passing game, but are minimal distraction. Not to mention I am still learning to work with the training part of the game. Much better then the other previous 2 games I tried. just as much fun as the orginal RZA. Better players and less headaches about other aspects of a stadium and finances. Great game. 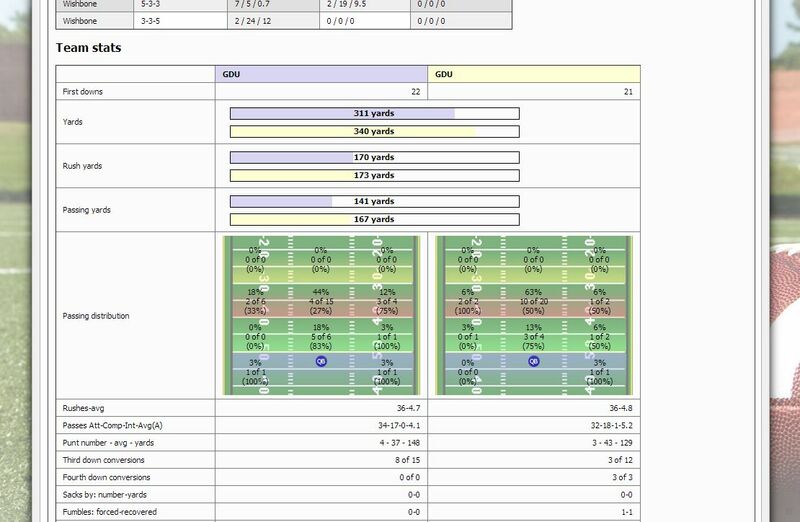 If you want a bit more depth to the sports management side try redzoneaction.org but if you want to stick to the playing side redzoneclash.org is the game for you. Nice, but Red Zone Action is the real deal! Awesome game! So much fun! Will win my division first year out and have a great team and draft board put together! Definitely recommend it for other football junkies to play! Dude- go crash your face into a wall. Any of us Football will be more than happy to squash your fuckface. RZA Action and RZA Clash are really top picks in Football. Beginners, just wanting to learn, Try Clash. Very easy to play. Awesome game! Won my division first time around and am going to win it again this season! Great gameplay, lots of strategy! Likes- stats, customization, player development. ..... still waiting to play another team. So why does Red Zone have such a looong wait period? Should be called SLEEP ZONE. There are games every day, so why do your wait? awesome game, love it and have a couple of teams on it, good amount of competition, yet there is always another team that can play close games with you, never a dull moment! Best management game I've tried so far. I can see I could get really carried away with tinkering with tactics. redzoneclash.org is a great game to play. "Nice"...first you go for ongoing cheating, and then wonder why you and your 44 teams were kicked from the game - funny!